Within the last few months, I have discovered something I suspected all along. Not much of a knitter, at least not yet! But I am a knitter and I have knitted a sock. Ta da! I’ve been sewing and crocheting since I was a little girl, but despite my mum’s best efforts, I never managed to get the hang of knitting. I knew how to knit, but I could never do it properly. My needles never clicked in a satisfying way and making even baby cardigans would take me several months. In October, we went to Norway. While on a bus in Oslo, I spotted a woman knitting. I noticed that she was knitting in a different way. 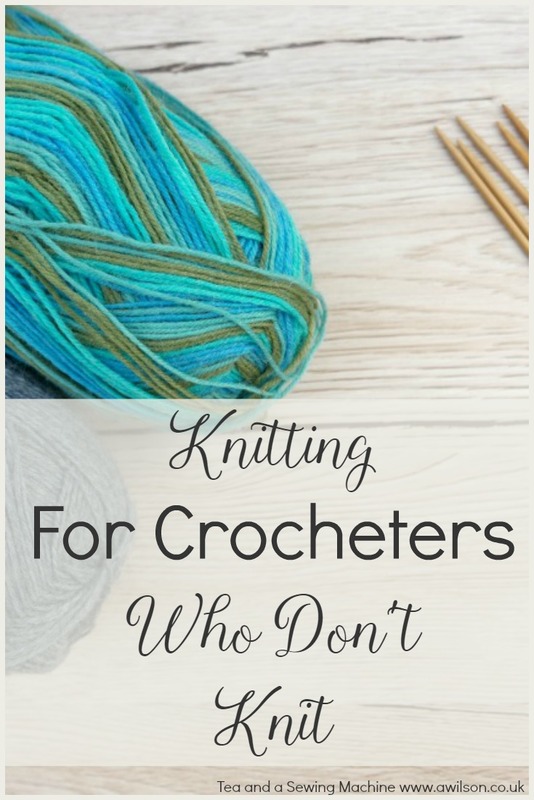 It had never even occurred to me that there were other ways of knitting, and that there might be a way to knit if you are a crocheter! So I tried this other way and found I could do it! This particular way of knitting (known as continental knitting) is much more like crochet. The yarn and the knitting are held in the left hand (if you’re right handed), and the stitches are made by the needle in the right hand. It’s very similar to crochet. So for those of us who crochet but struggle with knitting, this is perfect! Some of the stitches on the sock are uneven and it did take me a little while. But I did it! It was much easier and quicker than knitting the other way. 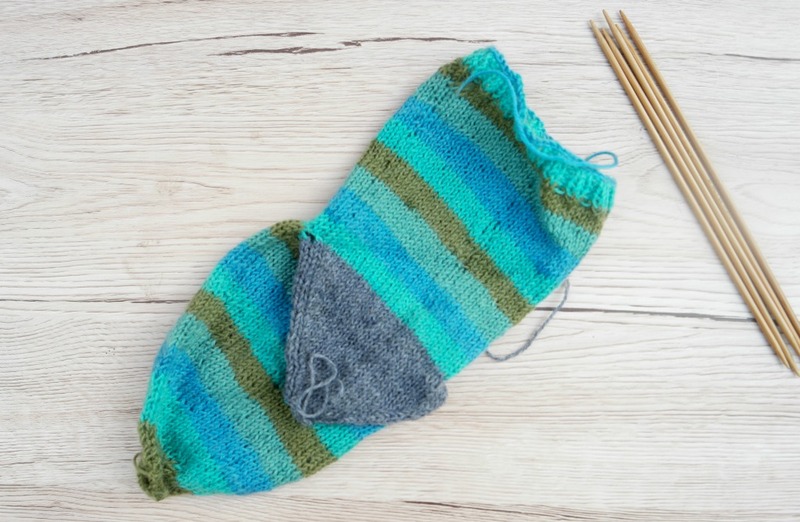 I am now a knitter of socks. Or for the moment at least, sock. I’ve written a piece about this over on the Minerva Crafts Bloggers’ Network, which you can find here. It includes links to a video showing how to do continental knitting, and the sock tutorial I used. If you like the idea of knitting but have never got on with it, I encourage you to have a look!